Studiocanal have released a UK trailer and poster for director Nicole Garcia's drama. 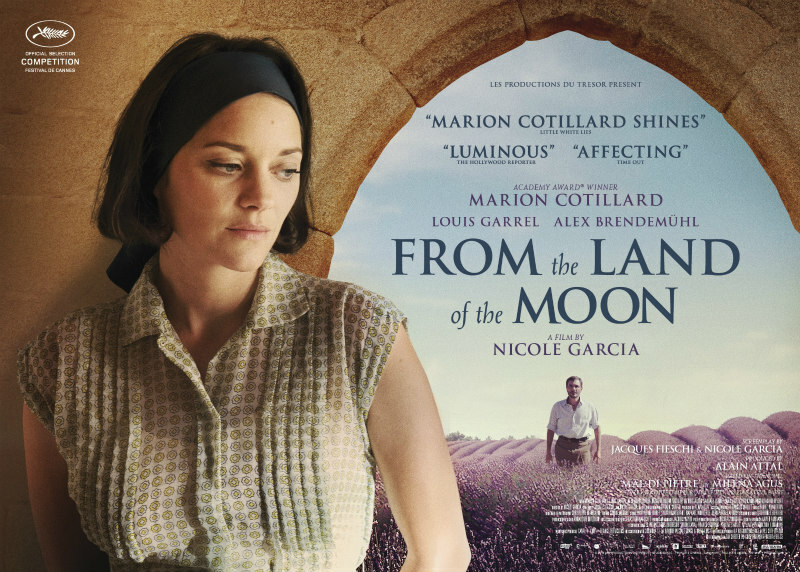 Marion Cotillard is a young woman forced into a loveless marriage against her will in director Nicole Garcia's period drama From the Land of the Moon, which hits UK/ROI cinemas June 9th. Studiocanal have released an official trailer and poster. Gabrielle (Marion Cotillard) comes from a small village in the south of France, at a time when her dream of true love is considered scandalous, and even insane. Against her will, Gabrielle’s parents marry her to José (Alex Brendemühl), an honest and loving Spanish farmer who they think will make a respectable woman of her. When she is sent away to the Alps to treat her kidney stones, André (Louis Garrel), a dashing injured veteran of the Indochina war, rekindles the passion buried inside of her. With this newfound love, Gabrielle yearns to run away with André, freeing herself from a marriage which seems to imprison her. This time, she’s determined to follow her dream.